The moment is closer than ever, the ABB Formula E Championship is about to kick off next week, the “Fiercely Driven” have been waiting for this moment and are ready to give it all once the lights go out on 15 December in Ad Diriyah. The electric street racing series continues to innovate so fans can expect a weekend plenty of emotions. 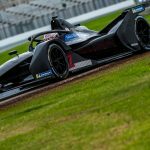 Jamie Chadwick for NIO FE Team, Simona de Silvestro for Venturi FE Team, Beitske Visser for BMW i Andretti Motorsport, Carmen Jorda for Nissan e.dams, Katherine Legge for Mahindra Racing, Amna Al Qubaisi for Envision Virgin Racing, Carrie Schreiner for HWA, Pippa Mann for Geox Dragon, and Tatiana Calderón for DS Techeetah Formula E Team. 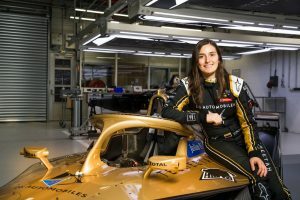 We have been taken a closer look at each of the drivers, this time focusing on 25-year-old Tatiana Calderón. The Colombian began her career racing in karting as most racing drivers do, and as most of them, she fell in love for the sport. Ever since she hasn’t stopped working towards her ultimate goal to become a full-time Formula 1 driver. 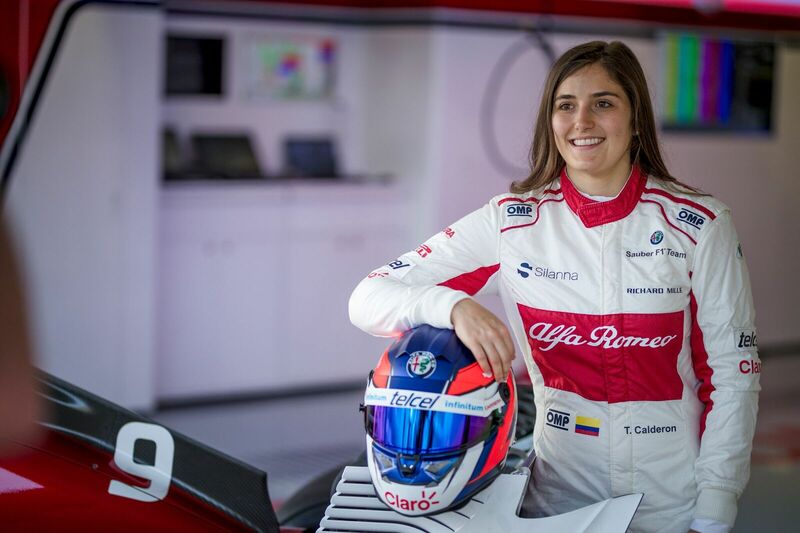 In an exclusive interview, Calderón reveals the challenges she faces as a driver and how she prepares her body and mind to be ready for each of them. She raced for Jenzer Motorsport in the GP3 series this season, your second and best season in the series, having experienced three retirements in a total of 18 races. But it was early in March when you were promoted to the role of test driver, for the Alfa Romeo Sauber Formula 1 team, after a year working as a development driver for the team. Last November we had the chance to you see you driving the Sauber C37 (2018-spec) in the Mexico City track on board of a Formula 1 car, for the very first time. ERN: How different are both experiences (GP3 and F1) and how was your preparation to face this dream, physically and mentally? Is it true your neck has grown nine centimeters? TC: “I think both cars are really different. The GP3 is a bit more physical in terms of steering weight because we don’t have power steering but in F1 the neck suffers a lot more due to the G-forces. But the acceleration on the F1 cars and the braking is just impressive as well as the grip generated by the huge amount of downforce they have. It is the dream car to drive. “I have been preparing myself for this since I started racing. To drive a Formula 1 car has been a dream and I’m still working pretty hard to continue the journey and earn more opportunities. “As women, we have 30% less muscle mass so I have to train a lot to be able to drive the car, mainly the upper body. “For the F1 car I need to strengthen the neck, so yes is true it grow 9cms… now I have to change all my shirts (laughs). Calderón had another test with the team in November as well, driving the Sauber C32 (V8 – 2013-spec) at the Ferrari test track in Fiorano, again a completely different car. ERN: Can you describe how did you feel during the two-test day? How representative these opportunities have been in your life, in your career? TC: “The feeling was just amazing, to hear the V8 engine already brings some emotions to you and then be able to drive and explore the limits properly was incredible. 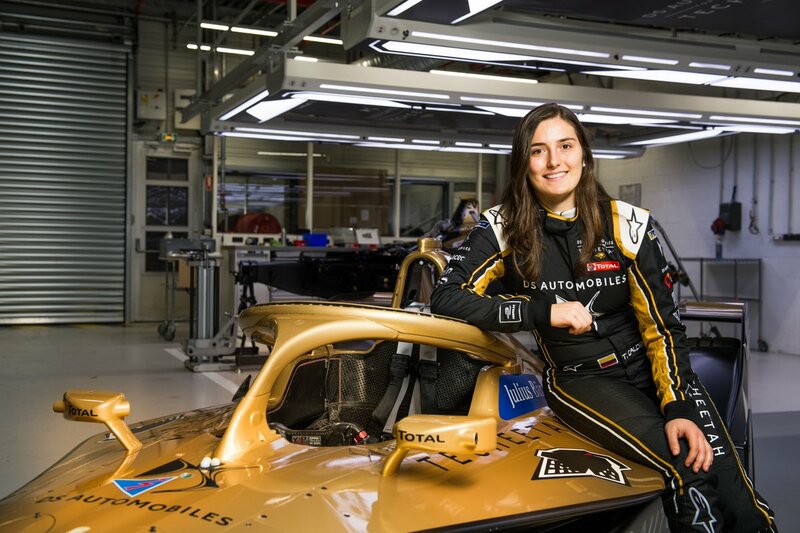 On 16 December she will be driving a Formula E car for the DS Techeetah Formula E Team, the DS E-TENSE FE19, at the in-season Formula E test in Ad Diriyah. 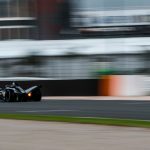 ERN: How did this opportunity come to you?, and how are you preparing for the test that will take place only a day after the E-Prix in Riyadh? TC: “I’m really thankful with DS TECHEETAH for the opportunity. We started to discuss a few months ago with Pedro de la Rosa, who is part of the team and I agree to a new challenge. ERN: How much do you know about the series, the car, have you been in contact with the full-time drivers for advice? ERN: Recently I watched an interview of you to CNN entitled ‘Future Formula 1 driver?’ We know how hard you’ve been working to reach that ultimate goal, but how far do you think you are to it now? “She’s incredibly talented and we think she will do a stellar job at the test with the experience she is able to bring. It’s also very exciting to be able to showcase the wonderful world of Formula E with a first-hand experience of testing the DS E-TENSE FE19 on track. 2011 Calderón becomes the first woman to make a podium finish at the Colombian Rotav Championship, finishing in third. 2016 she moves to the FIA GP3 series, driving for Arden Motorsport. 2017 Development Driver for the Sauber Formula 1 team, GP3 driver for Arden International. 2018 Test Driver for Alfa Romeo Sauber Formula 1 Team. 2018 GP3 driver for Jenzer Motorsport AG, finishing the last race at the Yas Marina Circuit, scoring points in both races. On 30 October, she drove for the very first time a Formula 1 car, literally making history on her own terms. 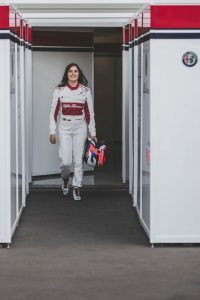 On 15 November, came the announcement she would be doing a two-day of with the Sauber C32 car (2013-spec) at the Ferrari testing track in Fiorano that same weekend. She finished the test with donuts and the fans present at the circuit appreciated the show. Formula 2: The Charouz Racing System (Sauber Junior Team) confirmed that the Colombian would be taking part of the post-season testing in Yas Marina alongside British driver Callum Ilott, on day one. She finished the morning session P13 and the evening session P6. She also did qualifying runs and long runs with the team. This was the first time that the Colombian driver tested a Formula 2 car. Let’s wait to see how her experience with a Formula E car is going to be, but something tells us she’ll do just fine. 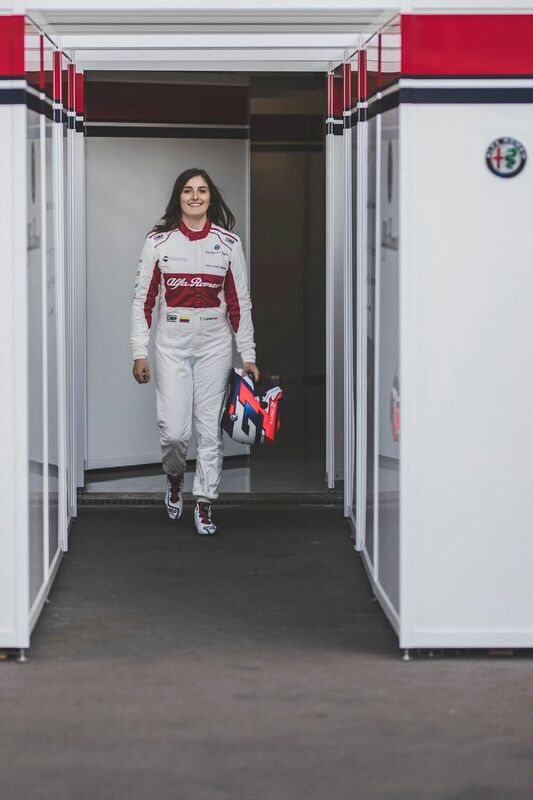 “Dreams do come true” – Tatiana Calderón.